Contorted clouds wriggle across high northern latitudes in this exquisitely detailed close-up of Saturn's atmosphere. Two immense storms swirl at right, each easily 2,000 kilometers (1,200 miles) across. The wispy, swirling nature of the bright clouds is reminiscent of cloud material being dumped into the cloud-level atmosphere by convective updrafts that come up from below, with the local shear and turbulence then creating the patterns seen, like a dye marker injected into a flowing stream. 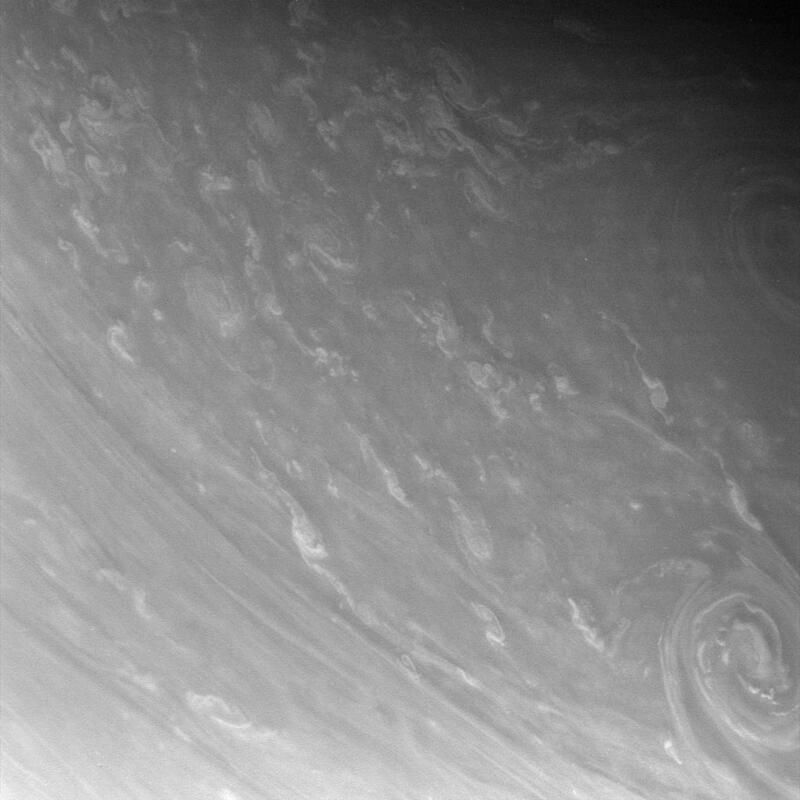 The image was taken in visible light with the Cassini spacecraft narrow-angle camera on April 5, 2007 at a distance of approximately 1.4 million kilometers (900,000 miles) from Saturn. Image scale is 8 kilometers (5 miles) per pixel.